Grain Theory Kendamas presents two years of absolutely stunning kendama play from Matt DeCoteau. Good luck with some of these tricks….absolutely mindblowing! What happens when you get a group of girls from all over the world to take part in a kendama edit? A lot of smiles, tons of rad tricks, a file formatting nightmare, and a great sense of collectivism. We’re girls, and we’re not only out there playing kendama, we’re shredding. Featuring Alissa Decoteau, Carolina Herrerra, Daniela Von Rohr, Addie Moss, Stephanie Lussier, Haley Bishoff, Kristin Olinyk, and Rochelle Trepanier. Grain Theory is proud to present..
There’s so much great kendama play in this new video from Grain Theory. And heads up, their next batch is dropping on the site TOMORROW, Tuesday, April 29th. Clint Armstrong & Cory Hendon – Are You Up There? Enjoy a little hey hey from Clint Armstrong and Cory Hendon in this new video featuring yoyo, kendama, and ball + cup. All the skill toys, you guys, just put all of them in. We’re excited to announce the 2014 Las Vegas Open YoYo Championship, a new event that will be held in conjunction with SkillCon, a massive skill toy convention and competition to be held this December at the Riviera Hotel & Casino in Las Vegas, NV. The Las Vegas Open is an IYYF-sanctioned event that will serve as the Multi-National event for North & South America, seeding to the final round of the 2015 World YoYo Contest in Tokyo, Japan. The main competition will be held December 29th and 30th, and on December 31st we’ll be holding special workshops and best trick contests, ending with an all-night glow & light-up prop party to ring in the New Year! SkillCon is an 8-day convention that will include the Las Vegas Open YoYo Championship, the 10th World Juggling Federation Championship, as well as an international flair bartending competition and a massive kendama event. Running from December 26th – January 2nd, SkillCon will have portions of the event filmed for broadcast on ESPN International, and we’re working to make sure the yoyo competition is part of that filming schedule! The Las Vegas Open website is live, and you can follow the event on Facebook for fast updates. Dave Mateo never disappoints. So. Damn. Good. Zack Yourd has always been one of the most creative kendama players in the game. In this edit Zack shows off some new spinning tricks along with some snowboarding to match. 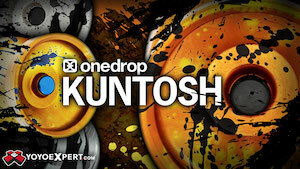 CLYW’s Ernest Kahn drops his first video of 2014, and it’s glorious. Ernest has one of the most fun play styles of anyone out there, with the technical chops to back it up. 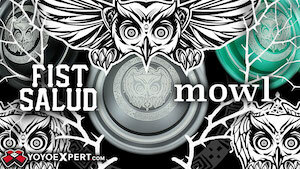 Yoyos used are the CLYW Yeti, Bear vsMan II, and Arctic Circle: 2nd Expedition. Kendamas used are the Krom Deluxe and Sourmash’s OG Pup Drank. Grain Theory Kendamas dropped their second community edit, and there is so much good stuff in here…seriously, it’s just 6 minutes of OOOOOOOHHHHHHHHHHH and then you get up from the computer and grab a kendama. That’s how it is. Saito Ryunosuke dropped a solid new video with some great yoyo and kendama play. Ryunosuke-san has a really smooth and laid-back style…an absolute treat to watch! Yoyo used is the Turning Point Positron. Kendama is a TK16 ken with a USA tama. Hope that you enjoy it! I’ve been stoked on the cross-pollination of ideas between yo-yoers and kendama players, and I’m grateful to Takeshi for making this mod to help me get some of my ideas out. If you like the music, download it for free right here. The 2014 International Toy Fair will be taking place in New York City this weekend and Yomega will be there showcasing their latest products for 2014. Here is a preview of what they will be showing. 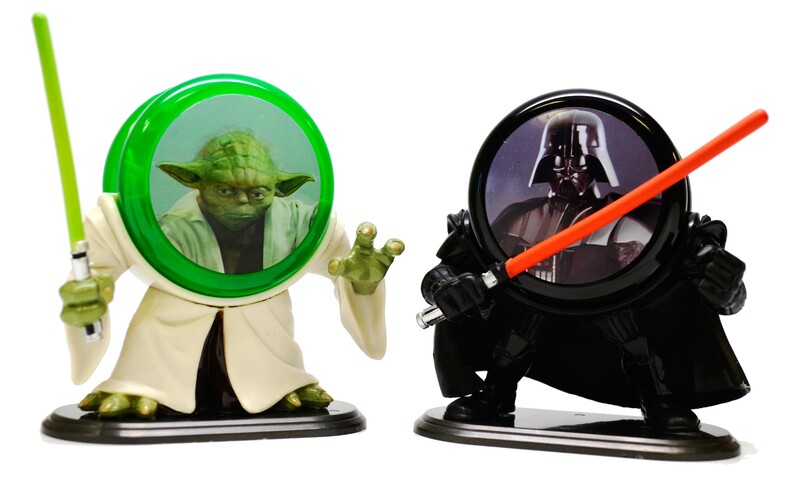 First up from Yomega’s licensed line of Star Wars Yo-Yos we have the String Bling and YoMen. These were first announced last year, but are finally now in full production and available in retail outlets. The String Bling are Fireball yoyos with all-new Star Wars designs featuring Yoda, Boba Fett, Darth Vader and Clone Trooper. The yoyo comes with a collectable Star Wars character rings that are used to protect your fingers while yoyoing. 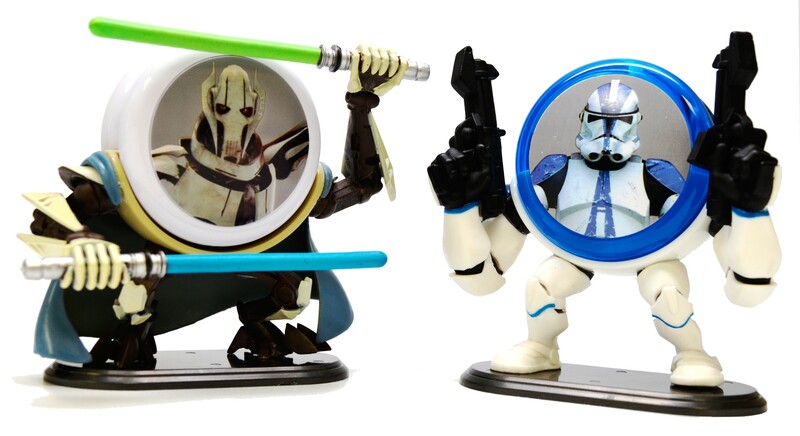 The YoMen are display stands that showcase your yoyos with the characters Darth Vader, Clone Trooper, Yoda and General Grievous. A Yomega Fireball yoyo is cradled on the stands and sculpted in the character’s likeness. Next up we have Yomega’s range of kendamas. 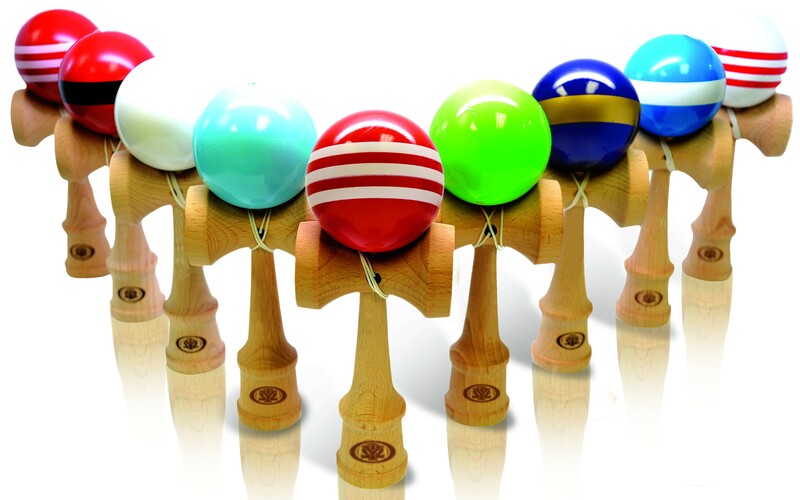 Yomega was the first yoyo company to manufacture and market a kendama, and their response to the growing popularity of kendama in the United States has been to steadily improve and refresh their line of kendama offerings. 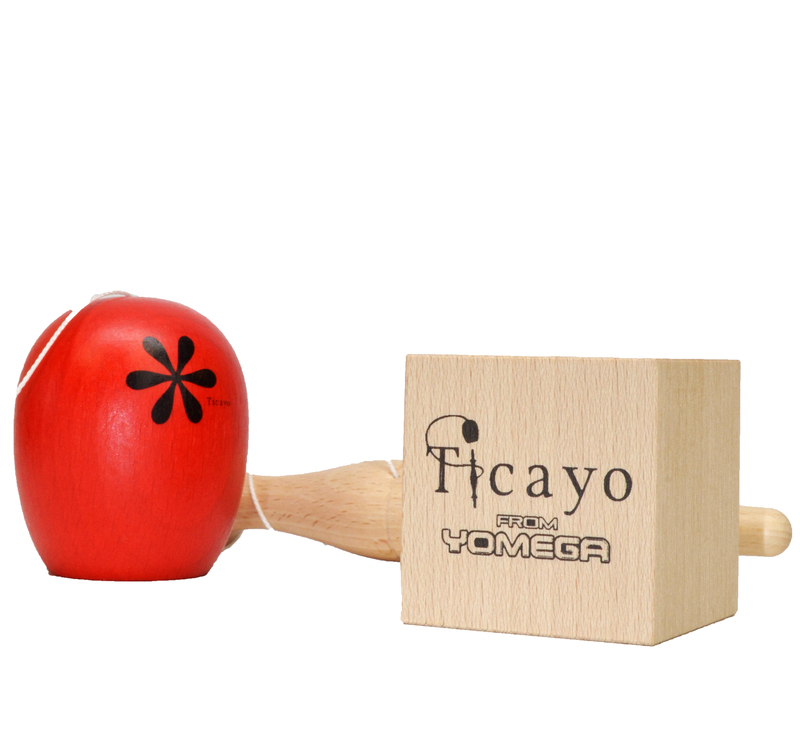 Also relating to kendamas, Yomega is introducing a new skill toy called the Ticayo. 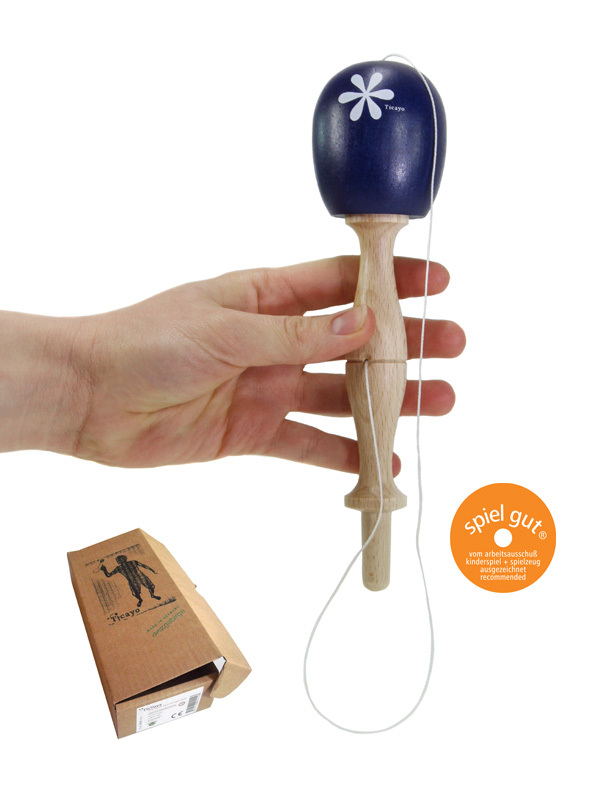 Similar to the traditional bilboquet, the Ticayo should appeal to kendama players, and anyone interested in another challenging skill toy. 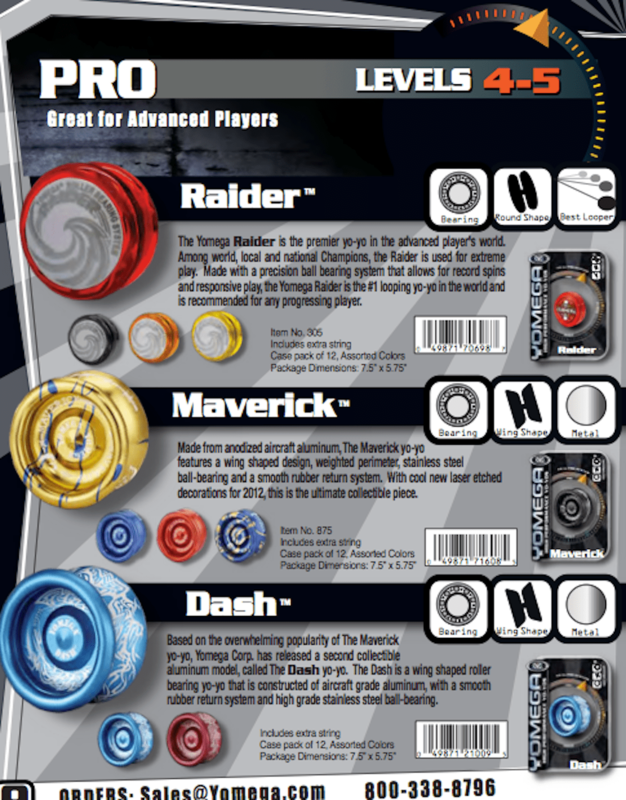 For Yomega’s higher end pieces we have the Raider, Maverick, Dash, Yo-Mods, Glide, and my personal favorite the Prodigy! 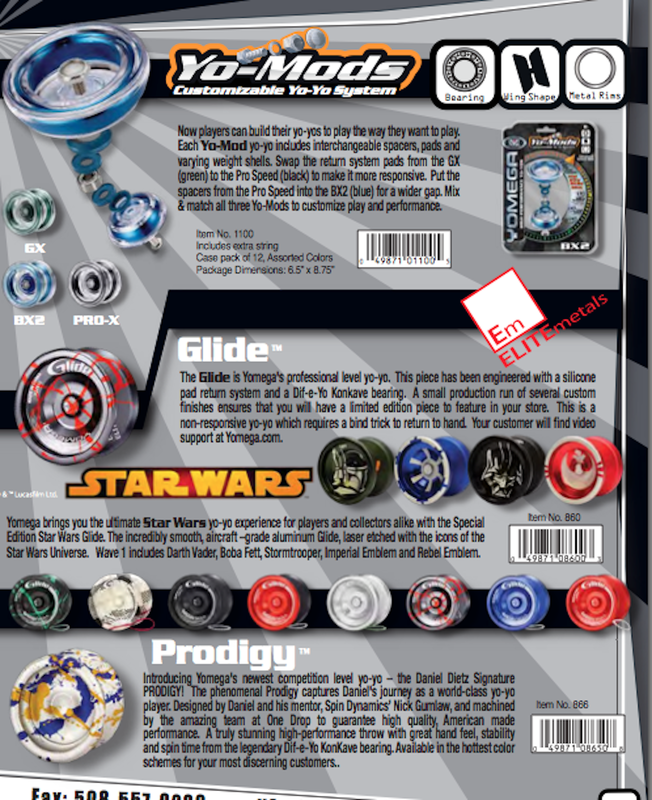 Things to note from this part of the catalog is that the Star Wars line is featured on the Glide with Boba Fett, Darth Vader, the Imperial insignia, and the Rebel insignia. The Maverick is also getting a new look, and the yoyo itself has undergone some design tweaks to improve performance. Better balance and weight distribution has made this my new favorite carry-around yoyo; it’s a must try for 2014! And the Raider is being released with th original logo, for fans of that classic Yomega look! 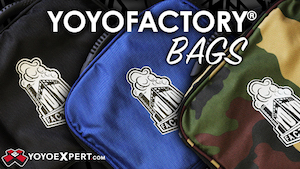 The biggest announcement for Toy Fair is the new collaboration between Yomega and YoYoJam! 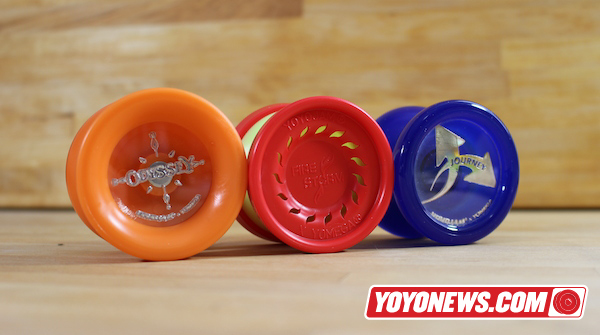 Three performance plastic yoyos, designed and manufactured by YoYoJam and distributed by Yomega! The Odyssey, Journey, and all-new Firestorm will begin shipping to retailers in March. We’ve got full pics and specs on all three models….click through for details. This is madness! Yo-yo / kendama mashup galore! Were you hoping the kendama invasion would be just a fad? Or that it would be safely contained? No sir, not when the mod bug bites kendama and yo-yo people alike, leading to some of the funkiest mashups on Instagram! Next, ninja modder and all-around awesome dude Takeshi went ahead and cut a string groove on a Duncan Komodo tama for Drew Tetz, the “Groovedama”! PACHOW! Can't wait to see what @drewtetz does with this bad boy. some fun with the #groovedama @takeshi_kamisato made for me. battle coming soon?! Terrorgade mount to spike. Am I @paulescolar yet? Turns out Takeshi is a mind-reader, and had turned his own hubstack from a screwdriver handle, transforming his own yo-yo into a ken! And finally, Takeshi — deciding he was cooler than everyone else — came up with the Blitz, an all-wooden version of his previous mod. Made a wooden Blitz. That's what I'm calling this lil contraption. People kept asking me what it was called and that was the best I could come up with, lol. There are lots of lil changes I wanna make to the wooden design. The next one I make will be a lot better. @dom_cal trying out the first wooden prototype of the Blitz. Follow us all on Instagram for more awesome (and sometimes questionable) mashups! Grain Theory Kendamas have released a new video, with submitted footage of kendama players of all skill levels throwing tricks on their recently released small-batch kendamas. Plenty of great tricks and good times! If you want in on the next GT Community video, email your clips, correct spelling of name, and location to community@graintheory.com. All clips must be in landscape format, no vertical phone clips. Grain Theory Community Vol. 1 features Ryan Plourd, David Forrest, Matt Rice, Matt Sweets Jorgenson, Max Norcross, Matt DeCoteau, Katsuaki Shimadera, Kristian Aynedter, Eric Wiens, Richard Russell, Thibaut Arcos, Haley Bishoff, TJ “FUEGO!”Kolesnik, Alex Du Pont, and Andrew Daugherty.